Some new designs showing variations of painted country folk art bathrooms. These give you a flavour of what we can do should you wish an ornate bathroom in this style. This is an attempt to show an 'un-fitted' bathroom in a tradional style. Of course the vanity unit is fixed & plumbed in, but it is made to look like a freestanding piece of furniture. 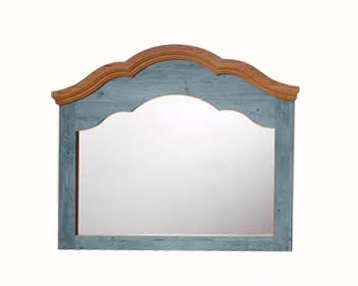 The wall mirror adds to the individual furniture look. The bath has been painted to tie all the pieces together visually. For a traditional style bathroom this also looks surpringly contemporary, because of the unity of design. As this is made to order, you can change any of the sizes, proportions, colours etc to whatever you like. A new addition to the range, the painted vanity cupboard with a top panel & 2 doors, all painted with typical Tirolean style designs. Several designs were produced for this, including a less wide version with 1 door, shown on another page in this section. This vanity could also be made to look built-in with the bath panel, which is often more suited to smaller bathrooms. The top panel is fixed to hide the basin, but knobs were fitted to make it look like a drawer. The plumbing can be hidden inside the cabinet for a neat finish. 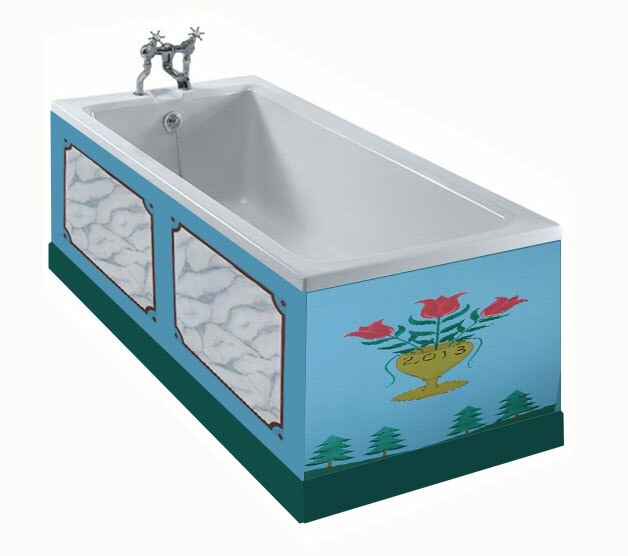 The matching Carrera sit-on bowl is another nice touch, matching the worktop & painted bath panels. The top will have a Carrera marble worktop, with a sit on bowl basin. 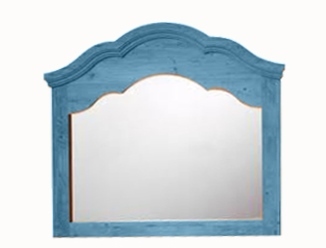 The plinth has typical lovely Tirolean shaping, which is echoed in the top of the wall mirror. We have only shown the vanity unit, bath & mirror, as these generally form the focus of the bathroom design & set the syle for the room. Adding wc, showers, towel rails, etc. are part of the practical planning for a real bathroom, but don't greatly add to the design look. Taps & other fittings can be whatever you want. Add a matching painted wc seat and this room would look stunning. Just pick the tiles to compliment the look; limestone colour large floor tiles really look good with this style of furniture, probably because the 'natural' stone sits happily with the natural furniture. Shown above are 3 variations for the bath panels. 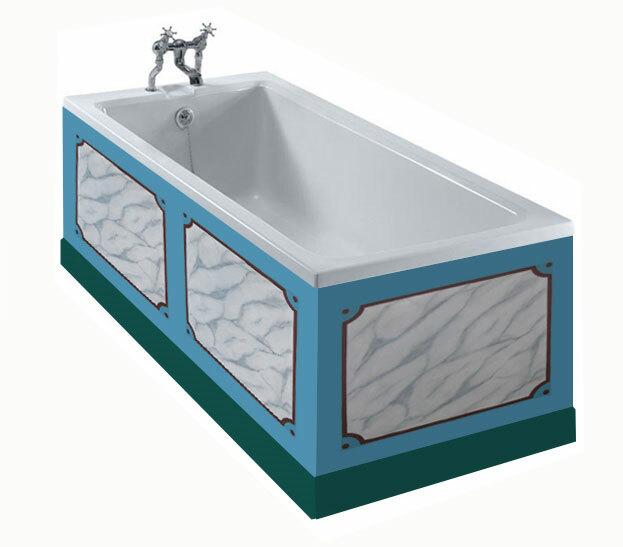 The long bath side shows painted Carrera marble panels, to match the worktop & bowl. These panels could have been painted with flower designs instead. 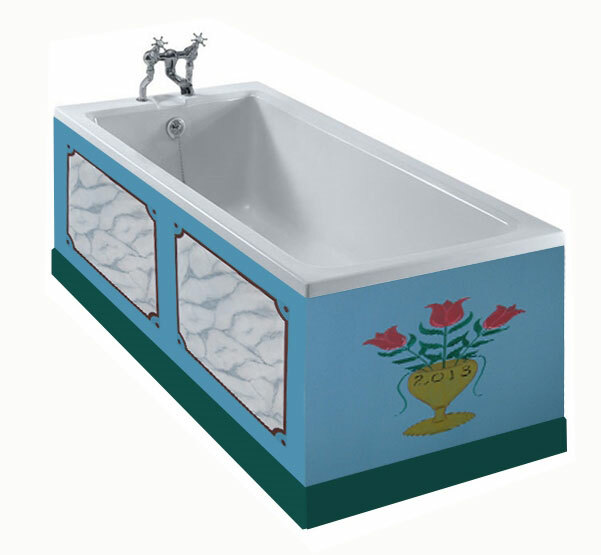 The end bath panel shows either a matching Carrera painted panel, or flower painted designs. 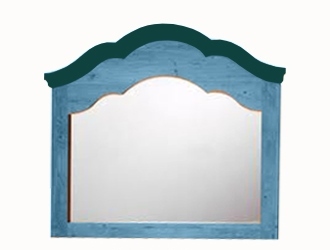 This is a very elegant wall mirror, with typical Baroque curves & ornate cornice. Designed to compliment the other pieces, offer a large dressing mirror with the advantage of bouncing light around the room to make it seem bigger & brighter. The 1st mirror matches the bathroom suite perfectly, especially the green cornice picking up the plinth colours. 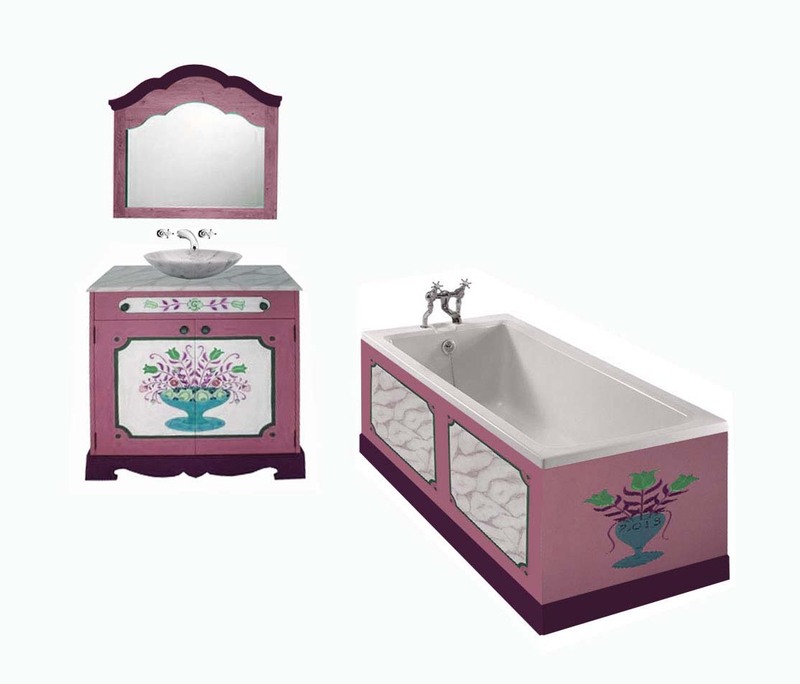 The one shown was made to the same size as the vanity unit, for visual balance. 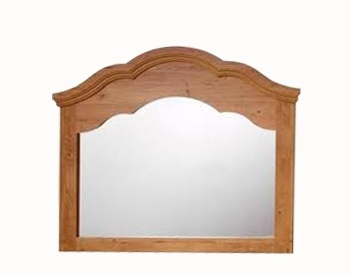 Although shown as a mirror this could easily be made as a 2 door mirror cupboard, still keeping the same elegant shape. The other mirror just show colour variations. Shown above are some colour ideas you could paint the suite in. Some of these take traditional folk styling to a very contemporary look. Everything is made to order, so it's your choice.